September 28, 2017 (St. John’s, Antigua) – As Antigua and Barbuda experiences growth in tourism arrivals from key European markets, the Antigua and Barbuda Tourism Authority’s United Kingdom & Europe Office is focused on captalising on the exponential growth by increasing its presence within the market. In a grand European blitz, the Antigua and Barbuda Tourism Authority, along with some of the destination’s major hotel and airline partners, descended on the major gateway cities of Frankfurt, Rome, Milan and Stockholm from September 25 – September 29 for travel trade events designed to build awareness of the destination amongst the European trade. Director of Tourism UK and Europe for the Antigua and Barbuda Tourism Authority Cherrie Osborne, who has a responsibility for the European market said, “The selected markets have been observed as having a potential for growth. “There is extra capacity within our UK airlines, and while we do have airlift from some of these markets, part of our overall strategy is to grow the markets further by driving business through Gatwick; recognizing the ease of access to the destination via these channels and utilizing the additional airlift on the UK carriers”, Osborne said. The Antigua and Barbuda Tourism Authority is reporting growth prospects for the destination following the roadshow in the source markets. Dertour, the largest tour operator partner for Antigua in Germany, accounting for 70% of German arrivals reported an increase in forward bookings of 120%. With overwhelming interest for the destination by the travel trade in Italy and specifically Milan, expectations are for further growth in that market. Italy, the second strongest performing market in Europe after the UK has recorded consistent growth of 11% in 2017 to date. Expectations are also high for Stockholm which has seen phenomenal growth of 55% for the year to date. During the four day mission, the team met with over seventy tour operators and over two hundred travel agents. The Antigua and Barbuda team reassured members of the trade that Antigua was open and operating as normal following the recent hurricanes. Several media interviews were also held with leading trade press. The Ministry of Tourism’s Compliance and Accommodation Manger representing the Unique Properties Gems of Antigua and Barbuda Dulcie Looby-Greene, Blue Waters Resort, Cocos Resort, Hermitage Bay Resort, Sandals Grande Antigua Resort & Spa, Ocean Point Resort, Virgin Atlantic and the Treasure Island Guide participated in the roadshow. 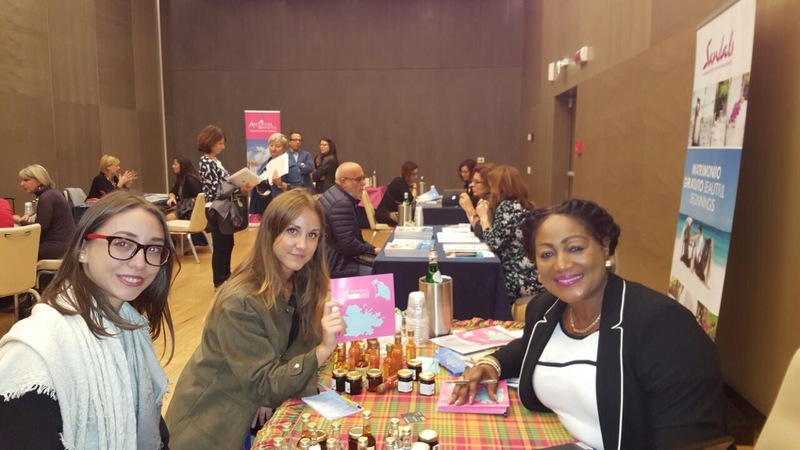 The Antigua and Barbuda Tourism Authority has plans to ensure greater visibility within these markets with the launching of more brand promotional activities.